Featuring a plethora of British trees, Waterperry is decorated with watercolour brush strokes that elegantly depict natural landscapes and gentle water sources. The duvet cover and Oxford pillowcase are digitally printed on 200 thread count cotton percale and have a plain off-white reverse. 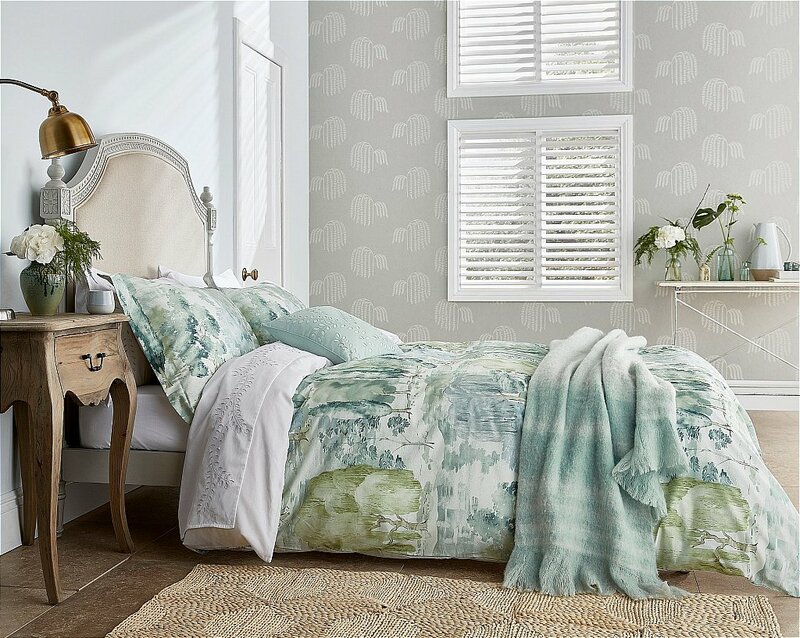 The soft aqua tones of the bed are carried across the accessory cushion which features an intricate trailing leaf cut-out embroidery pattern and a soft striped blanket with deep fringed edges. I would like more information about Waterperry Bedding in Mint by Sanderson.